Welcome to Caddell Electric Your Trusted Dallas Electricians! Caddell Electricians are highly respected in their field. As new technologies appear, we ensure each electrician is trained so we can offer all state of the art products to our customers. 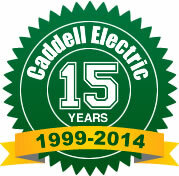 Caddell Electric proudly services all of Dallas, Plano, Garland, and all surrounding areas. Our electricians’ commitment and dedication to our customers ensure we remain an A+ company. 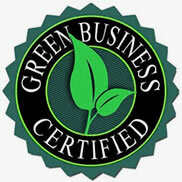 We take pride in our membership with the Better Business Bureau. Established in 1999, Caddell Electric’s professional team of electricians has years of experience in a wide variety of commercial and residential services. With drug-testing, background checks, advanced technical training, and industry certifications, you can feel comfortable inviting Caddell Electric into your home or office. Plus, we charge by the job not the hour. You can be assured that you will receive the excellent service you deserve without the high prices. Yes, there are 4 levels of licensing for Electricians. Someone new to the trade is considered an Apprentice. Upon 2 years of supervised training and obtaining a passing score on an electrical exam, they become a Wireman Electrician. A Wireman Electrician is able to work unsupervised in any residential home. They cannot work in the commercial field without a Journeyman Electrician present. At Caddell, all of the electricians we send to your home to work on your electrical system hold this license. To be a Journeyman Electrician, one must complete 8000 hours of work under a Master Electrician and pass a written exam. A Master Electrician is just that, a Master. All electrical contracting companies MUST have a Master Electrician on board to oversee the electrical work being performed on a daily basis. Do electrical contractors have insurance? Yes, all electrical contracting companies must be licensed as an electrical contractor in the State of Texas. This is designed to insure customer safety and protection by requiring the licensed company maintain a minimum adequate general liability insurance policy. It also requires the company to be directly supervised by a licensed Master Electrician. It is absolute imperative that you check the status of any electrician before you hire them. There are MANY unlicensed electricians operating illegally all around Dallas, Plano, Garland and smaller cities. These illegal electricians even advertise that they operate with insurance and proper license. Just because you find an electrician on the internet or in a phone book doesn’t mean they are licensed. You can check the status of any electrician or electrical repair company in the state of Texas at http://www.license.state.tx.us. Don’t be afraid to ask any electrical contractor for their license number. If the contractor is following the rules he will be happy to give it to you.